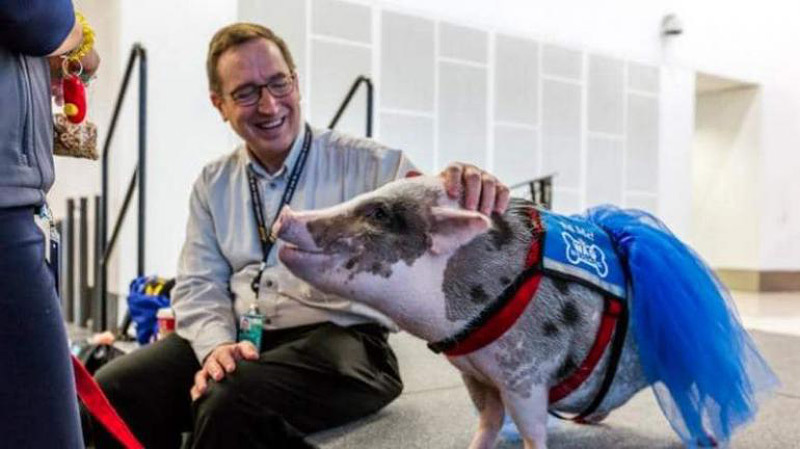 Did you hear for therapy pig which job is to calm stressed passengers? 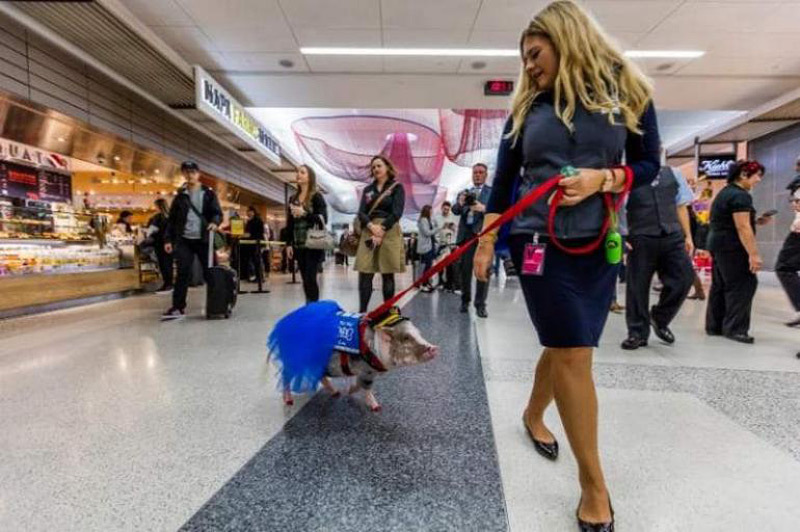 Meet LiLou, a Juliana-breed pig, currently star at San Francisco International Airport (SFO). 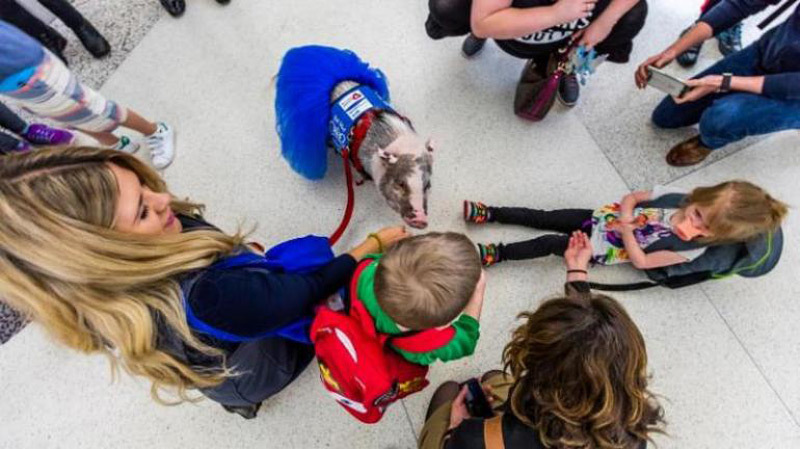 She joins the airport’s Wag Brigade team of therapy animals – including more than 300 dogs cats and rabbits – which are tasked with calming down stressed passengers. LiLou is known for her stylish outfits and painted nails, and although not a one-trick pony, she can stand up on her back hooves (the better to show off those painted nails), wave at people with her snout and play a toy piano. When she’s not at the airport she’s a regular visitor at San Francisco senior centers and hospitals.